I have to admit I am a bit of an impulse shopper when it comes to drugstore products, I can go in for one small necessity and come out with a bag full of things I didn't necessarily need... and I'm sure it's not just me who does this. To be able to shop for those every day beauty products online is perfect, because it's not as easy to get drawn in by things I shouldn't be buying, yet everything I need is still readily available. 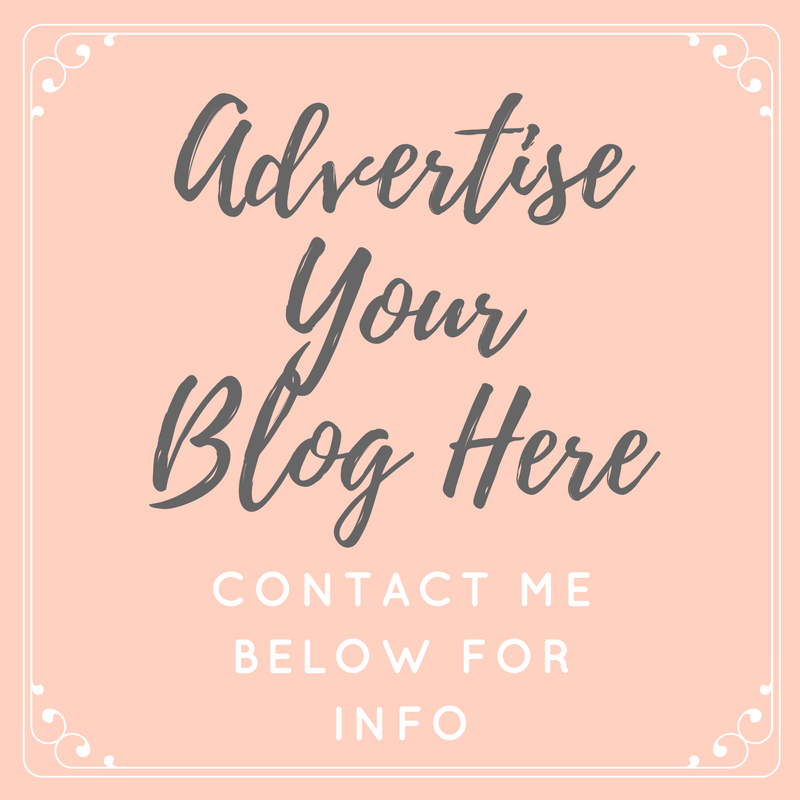 I was recently introduced to Chemist, the online pharmacy which stocks pretty much everything I need and therefore prevents me from all of those impulse buys I'd pick up in store myself. The service is great, everything comes direct to you door and is packaged wonderfully and best of all, the prices are incredible. Can you believe I got all of these products for less than £50?! I needed a new tube of my holy grail LA Girl Pro Conceal concealer, so this was the first thing to go into my basket. LA Girl products are annoyingly still really hard to get hold of in the UK, so the fact that Chemist stock this in a huge range of colours is a huge bonus for me. I've spoken about how much I love this concealer before, and I still give this holy grail status, it's brightening, really easy to blend and extremely high coverage - I'm so happy to have found a reliable UK stockist. 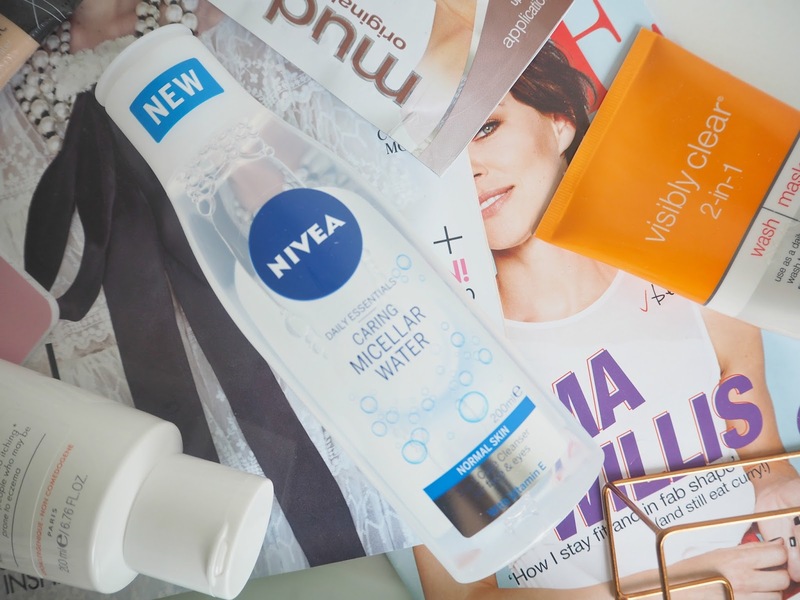 I then topped up my bathroom cupboard with a few of my favourite beauty essentials; Neutrogena Visibly Clear 2 in 1 Wash, Garnier 7 Days Nourishing Shea Butter, Nivea Double Effect Eye Makeup Remover and Nivea Micellar Water. 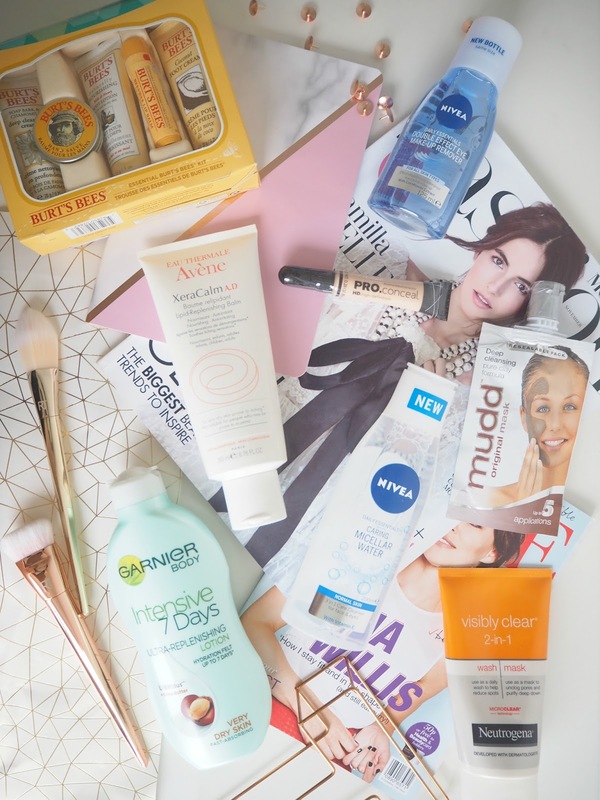 All of these products are go-to's for me... I have used the Neutrogena body wash for years and years, it really suits my combination skin and leaves my body feeling so soft and smooth and the Garnier Shea Butter is perfect for nourishing my dry skin on my legs before and after shaving - it's a lifesaver! Nivea are one of my favourite high street skincare brands and I can't recommend these two products enough. The eye makeup remover melts away almost any mascara with ease and the micellar water is so gentle for sensitive skin. 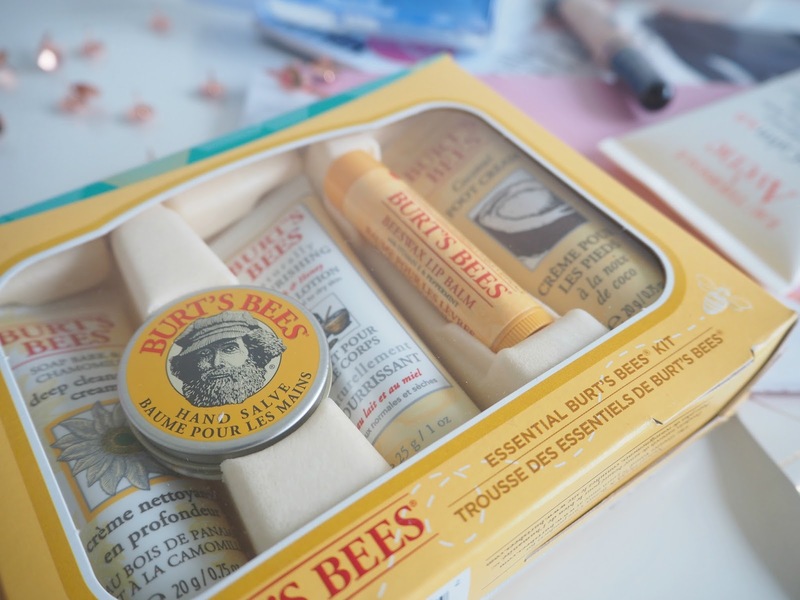 The Burts Bees Essentials Kit containing Hand Salve, Deep Cleansing Cream, Body Lotion, Beeswax Lip Balm and Coconut Foot Cream wasn't really an essential, but I was in need of a new lip balm, and as a huge fan of Burts Bees products I just couldn't resist this set! It seemed too good to be true to be able to replace some items I have used before and try a few new ones at the same time. All of the products smell incredible and I had been wanting to try the Hand Salve for such a long time now... FYI, it's gorgeous! I didn't really need any face masks either, but I was so intrigued by the Mudd Deep Cleansing Pure Clay Mask, that I just had to add it to my basket, and I'm so glad I did... my skin feels amazing after just using this once and as it's so cooling on the skin it feels like a real treat when I fancy a pamper night. 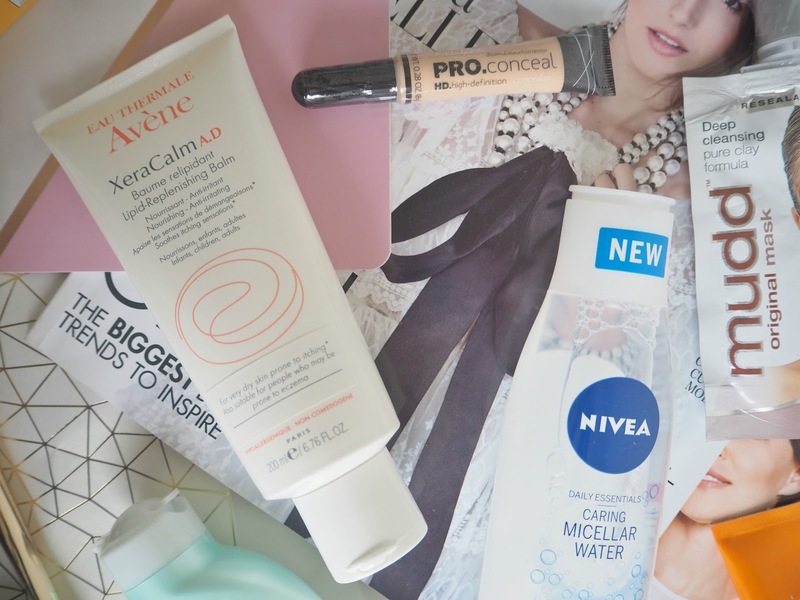 Lastly I decided to get my hands on the Avene Xeracalm Liquid-Replenising Balm, as I have heard so many amazing things and it's been on my wishlist for ages. It's targeted towards eczema prone, itchy and sensitive skin types and is supposed to cool, calm and sooth - which if you suffer from any of the above, you will know sounds like heaven! I have only been using mine for a couple of weeks, so I can't comment fully on if it's worth all of the hype it gets, but I can say, so far so good... It's even gentle enough to use on Elodie's skin too. Are you tempted to place your next drugstore order online rather than shopping in store? I'd never heard of this website but I'm going to check it out now!